A six times per year publication included with your membership. 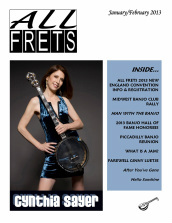 ALL FRETS magazine is available in either a hard copy delivered to your door or a digital magazine delivered via the internet. Either way you'll receive the same news, features and educational content which cannot be found anywhere else...news of upcoming and past events, enlightening tips and techniques from top professionals, recording and product reviews, and interesting biographies of ALL FRETS members fill the pages of each issue of ALL FRETS magazine. Each year ALL FRETS members gather in a different city to participate in the annual ALL FRETS convention. 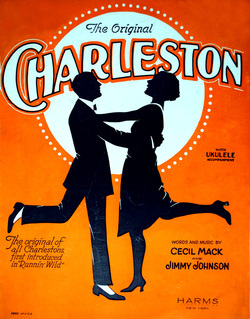 Concerts, educational workshops, jam sessions, tours and other social events all highlight this unique annual musical happening. Enthusiastic beginning players and enthusiasts are given the chance to interact with top professional musicians in a setting of camaraderie and fun. The ALL FRETS 2018 convention will be held in Buffalo, New York from July 11th thru 14th at the Millennium Hotel. Each year the ALL FRETS FOUNDATION awards numerous educational grants to young people interested in learning to play a fretted musical instrument. These inspiring young musicians are often showcased in the pages of ALL FRETS magazine as well as in concert at the annual ALL FRETS convention. Any ALL FRETS member of two years good standing may nominate a young musician for an ALL FRETS FOUNDATION grant. Members of ALL FRETS have access to 1000s of pieces individual pieces of music as well as instructional publications and orchestrations through the ALL FRETS music library. Click the link below to contact music librarian, Glenn Peisker, with specific requests.